These are only hair recolor files. You must download the hair mesh file on our female hair page 3 .Chermel: "Only comes in black. 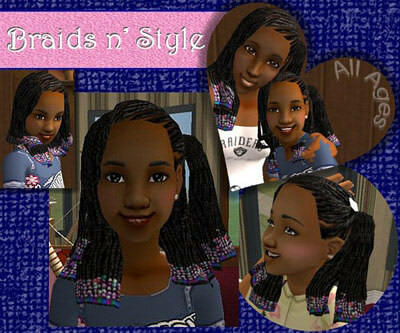 I give permission for recolors of my braids to other hair colors if I receive credit for making the braids." These are only hair recolor files. 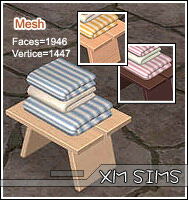 You must download the hair mesh file on our female hair page 19 . "Inside the zip file is the DBPF package file. Put the file in your downloads folder for the hair to work. This hair requires the mesh on page 19. The hair textures used to make my colors were made by me so please don't use them to make your own creations. Enjoy :)"